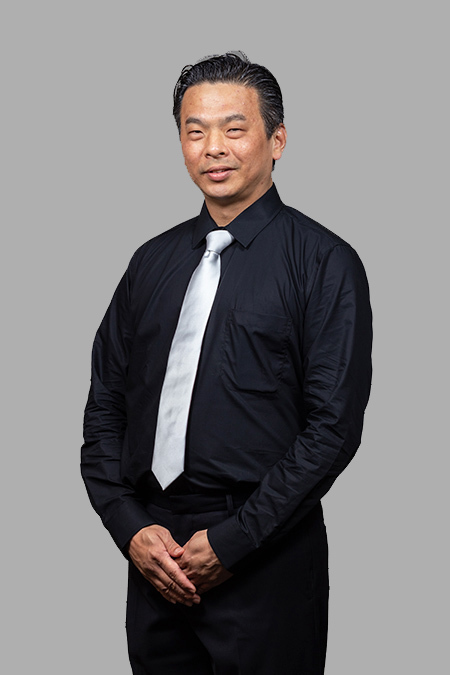 Dr. Heng Cheng Suang is an Associate Professor with tenure at the Department of Information Systems and Analytics, School of Computing of the National University of Singapore (NUS). He received his Ph.D. (Organization, Technology and Entrepreneurship) from Stanford University, Management Science & Engineering Department. Prior to his post graduate studies, he worked with the former Singapore Trade Development Board (now known as International Enterprise) as a Senior Trade Officer (Information, Technology & Communications). He also had his internship in Chartered Industries of Singapore and Apple Computer (Singapore). Dr. Heng is currently a Fellow of the NUS Teaching Academy. He also serves in the Faculty Teaching Excellence Committee (FTEC) and NUS Overseas Colleges (NOC) Steering Committee. He has been appointed onto the Editorial Review Board of IEEE Transactions on Engineering Management (TEM), having served as the Track Chair for Pacific Asia Conference on Information Systems (2015, 2014, 2013), Associate Editor for International Conference on Information Systems (2016, 2015, 2014, 2012, 2011), Associate Editor for European Conference on Information Systems (2016), and a reviewer for top journals such as MIS Quarterly, Information Systems Research, IEEE Transactions on Engineering Management, and others. Dr. Heng’s primary research focuses on how organizations strategize their use of IT. In recent years, while some organizations have begun exploiting social media and other digital platform for better branding and marketing of their products, some organizations have embarked on several innovations and entrepreneurial spawning with the possibilities conferred by new technology. In contrast, some organizations still regard IT department as a cost centre and would rather opt for IT outsourcing. Given these divided opinions, Dr. Heng’s 3 research streams focus on “Organization Strategy with Information Technology/Digital Media”. Forthcoming. MIS Quarterly (MISQ) “The Demand Effects of Product Recommendation Networks: An Empirical Analysis of Network Diversity and Stability.” Co-authors: Lin, Z., & Goh, K. Y. 2016. International Conference on Information Systems (ICIS) “Monetizing User-Generated Content in FinTech: An Empirical Study of a Social Investing Site.” Co-authors: Li, D., & Goh, K. Y. 2016. International Conference on Information Systems (ICIS) “Winning over Grassroot Consumers: An Empowerment Perspective of Yu'E Bao.” Co-authors: Tan, T., & Zhang, Y. 2016. International Conference on Information Systems (ICIS) “The Medium Matters: Effects on What Consumers Talk about regarding Movie Trailers.” Co-authors: Shen, Y., & Chan, H. C.
2016. European Conference on Information Systems (ECIS) “Expectation Shortfall in the Highly Specialized B2B IT Innovation.” Co-authors: Dong, Y. Q., Sapumal, A., & Han, L.
2016. Pacific Asia Conference on Information Systems (PACIS) “Why Do Users Become Inactive on Online Social Networks? A Friendship Perspective.” Co-authors: Zhou, F., Peng, X., & Zhou, L.
2015. Journal of Management Information Systems (JMIS) “The Paradoxes of Word-of-Mouth in Electronic Commerce.” 32(4): 246-284. Co-author: Lin, Z. 2015. International Conference on Information Systems (ICIS) “Why Do Users Abandon Online Social Network Sites? A Case Study of the Social Capital Paradox.” Co-authors: Wang, Y., Zhang, X., & Peng, J. 2014. International Conference on Information Systems (ICIS) “IT Investment: The Unexpected Effects on Entrepreneurial Spawning.” Co-authors: Chen, Q., & Huang, K. W.
2014. OASIS Workshop “Social Media Migration for Marketing: Evidence from Startups.” Co-authors: Zhou, Y., Ding, Y., & Kankanhalli, A. M.
2013. Information Systems Research (ISR) “Social Media Brand Community and Consumer Behavior: Quantifying the Relative Impact of User- and Marketer-Generated Content.” 24(1): 88-107. Co-authors: Goh, K. Y., & Lin, Z. 2013. Information Systems Research (ISR) “Privacy Concerns and Privacy-Protective Behavior in Synchronous Online Social Interactions.” 24(3): 579-595. Co-authors: Jiang, Z., & Choi, B. C. F.
2013. International Conference on Information Systems (ICIS) “Strategizing the IT Entrepreneurial Teams: A Dynamic Equilibrium Perspective.” Co-author: Feng. Y. 2013. International Association for Chinese Management Research (IACMR) “To Better Leverage Government R&D Grants for IT Innovation: Are Past R&D Experience Capability or Liability?” Co-authors: Chen, J., & Tan, B. C. Y. 2012. International Conference on Information Systems (ICIS) “"Effects of Government Research and Development Grants on IT Entrepreneurial Firm Performance: A New Perspective of Exploration versus Exploitation.” Co-authors: Chen, J., & Tan, B. C. Y. 2010. International Conference on Information Systems (ICIS) “Helping or Hampering: Effects of IT Outsourcing on Client’s Product Innovation.” Co-author: Feng, Y. 2009. International Conference on Information Systems (ICIS) “Investigating Vendors’ Decision to Terminate IT Outsourcing Contracts.” Co-authors: Du, W., & Feng, Y. 2009. International Conference on Information Systems (ICIS) “Multi-Vendor Outsourcing: Relational Structures and Organizational Learning From a Social Relation Perspective.” Co-authors: Lee, J. N., & Lee, J. 2003. Journal of the AIS (JAIS) “Willingness to Continue with Software Projects: Effects of Feedback Direction and Optimism under High and Low Accountability Conditions.” 4(4): 171-194. Co-authors: Tan, B. C. Y., & Wei, K. K.
2003. Information & Management (I&M) “De-escalation of Commitment in Software Projects: Who Matters? What Matters?” 41(1): 99-110. Co-authors: Tan, B. C. Y., & Wei, K. K.